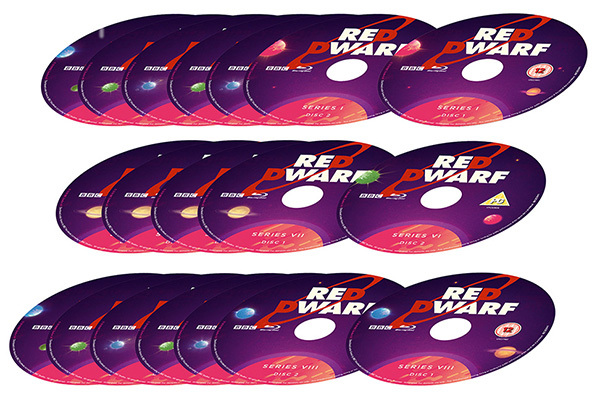 If you're one of the fans who rushed out to buy the Red Dwarf Series I-VIII Blu-ray set upon its release last month, you may have noticed something unusual upon playing certain episodes. 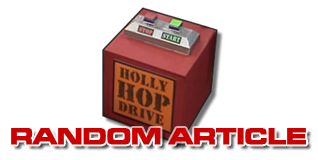 The error occurred on two of the discs in the set, affecting all of the Series III episodes and half of the Series V ones. On these episodes, a "de-interlacing" effect was inadvertently applied in production of the video files onto disc. This meant that to some viewers a "motion blur" effect was perceptible on these episodes. 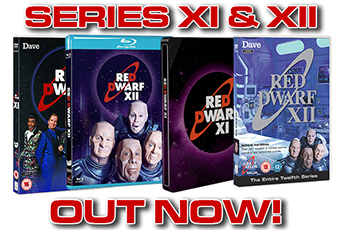 This was not the intent of the production or the restoration process, and certainly not in line with the intent of the Blu-ray set to provide the highest-quality version of Red Dwarf possible while retaining true to the look and feel of the original broadcasts. For those who have been waiting for a resolution to this problem, we're pleased to report that said issue has been identified and a fix is on the way. 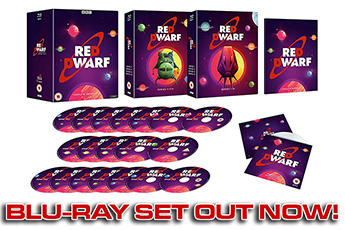 Thank you for your continued patience while we have investigated the issue with the Red Dwarf Blu-ray set. After thorough investigation with all the suppliers involved we have now identified the source of the problem. We have started the process of recreating the masters to re-author and re-manufacture these discs which will take a few weeks. We are sorry the discs were not correct to start with and thank you for drawing this to our attention. Details of how to obtain your replacement can be obtained by e-mailing BBC Studios customer support line at DVDSupport@bbc.com. If you've still to get your hands on the set, find out more about it and pick up your copy here!